Today's 30 year fixed mortgage rate at Ditech is at 4.125%. If you take a 250,000 mortgage then the monthly payment will be $1,211 and you will also pay $1,648 dollars in Lender Fees. The APR is at 4.177 percent. The same rate at AimLoan.com is much lower, but with much higher lender fees. The 30 year fixed mortgage rate today is at 3.50 percent. The lender fee is $4,637. However, the monthly payment is 1,122 dollars. At TiaaDirect mortgage rates are higher and they come with high lending fee as well. 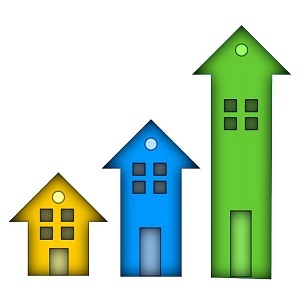 The 30 year fixed mortgage rate there in NC is at 4.02 percent while the APR is at 4.16 percent. The lender fee is $4,364 and it will make your monthly payment at 1,196 dollars. The 30 year fixed mortgage rate today at PortCity Mortgage is at 3.625 percent. The APR is at 3.72 percent. The mortgage lender fee is lower at $2,938, which comes with 1,211 dollars of monthly payment in North Carolina. These rates and quotes are taken from eRate.com. This is what I saw on its website this morning. I asked a fellow mortgage specialist Steve Khan to provide his option about where he thinks the current mortgage rates will be by the end of the year and during the first day of 2016. Here is what Steve wrote to Huliq. I never try to forecast the movement of mortgage rates for any client but I can offer an opinion if they ask on what I hear in the news and / or with economic current events. And based on the recent positive jobs report and some of the signals coming from the November Fed meeting it appears the Fed will inch interest rates up at the December meeting. The rate boost I think will be so slight though that it will have a very small effect on the real estate market as the Fed realizes any drastic rates moves could hurt the market in many ways. Just my thoughts for what it's worth.